PONY RYDER: Kelsey, when did you start modeling? KELSEY VAN MOOK: I was scouted when I was 14. One day after school I was at the mall with my friend sitting on a bench, and a scout who's name is Corey, came and asked me if I'd thought of modeling, he gave me his card I gave it to my mom. And then this January I moved to New York to start full time. 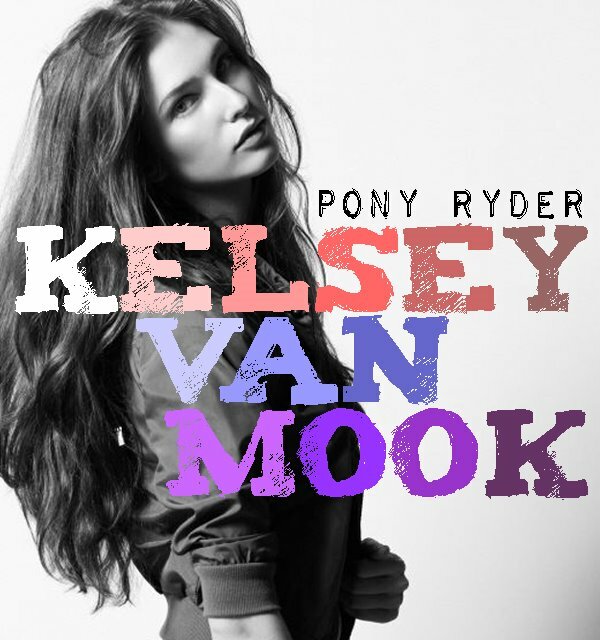 PONY RYDER: Van Mook doesn't sound Canadian. What is your ethnic origin? PONY RYDER: What's the best compliment you've received? KELSEY VAN MOOK: I like all compliments, I'm not sure what the best one has been. I think just being told your beautiful by someone, or people loving your work are the best compliments. PONY RYDER: Have there been any disappointments so far? PONY RYDER: You opened the Givenchy show last season (F/W 09/10)! Many established model names where there and you got the opportunity to open it. Any thoughts…? KELSEY VAN MOOK: It was soooo amazing, I couldn't believe that I was the first one in the line..it was an honor to even be in the show, so opening it really meant so much to me. PONY RYDER: When did you find out that you would be opening the show? KELSEY VAN MOOK: I was sitting in the hotel room with my mom, and my agency called me and told me the news!!! Me and my mom were freaking out. I never expected it at all so I was really shocked, I couldn't believe it! At first I was very excited..which shortly turned into very nervous haha. PONY RYDER: Did you get any advice from established girls? KELSEY VAN MOOK: The advice people gave me was- “you know how to walk, don't worry it will be fine! You've done a few shows before.” I was like yeah but not Givenchy, ahhhhhh. But it all turned out well in the end, thank God! PONY RYDER: Victoria's Secret model Adriana Lima was also there. What is she like in person? KELSEY VAN MOOK: Yes!! She is so beautiful, one of my favorite models. I remember I was sitting waiting for my fitting a few days before the show and she just came walking up the stairs and sat down to wait for her fitting. I was like oh my god that's Adriana Lima!!!!!!! I would imagine it would only be the best of the best doing her hair and make up! PONY RYDER: You also walked for Australian Fashion Week! Did you discover some designer/brand that you like and hadn't heard of before? KELSEY VAN MOOK: I found out about many new designers there. I really loved Romance was born, and the show was crazy and amazing. The clothes were sooo cool! I also loved Ellery. PONY RYDER: From all the shows you did, who do you think had the most wearable collection, or was the most similar to your personal style. PONY RYDER: What's your style? KELSEY VAN MOOK: My style is to look good!! Hahaha… I really love shoes…I have some crazy ones, some thigh high fringed boots, my pink Doc Martens. You can never have to many pairs of shoes, right? Items that I'm loving at the moment are my blue Ray Bans, and a white sequin blazer I just got. PONY RYDER: Who is your style icon? KELSEY VAN MOOK: Top shop, Zara, vintage stores, Urban Outfitters, Diesel, Miss Sixty,American Apparel and a lot of other random stores. I love to shop. PONY RYDER: When you first started modeling, did you have perfect measurements or did you have to work on it? 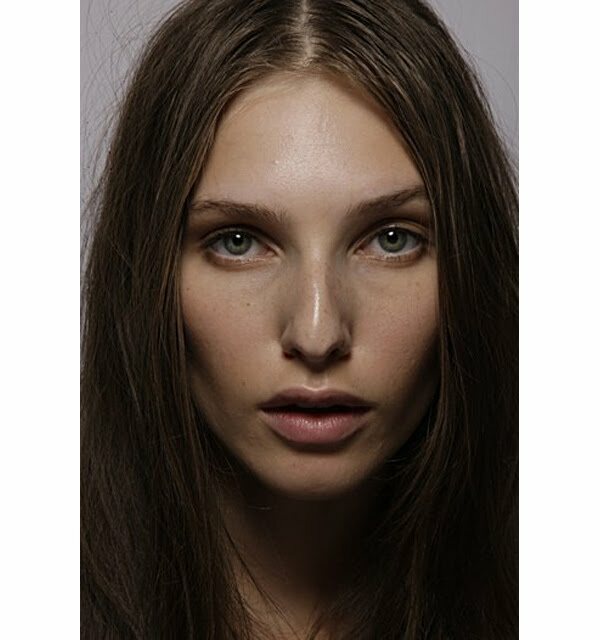 KELSEY VAN MOOK: When I was first scouted at 14, yes. I've always been thin naturally, but as I hit about 16 things started to change! I couldn't eat all the junk food and McDonalds and cream cheese bagels anymore haha. I mean I was still thin, but I had to work on it a little more. KELSEY VAN MOOK: Try to have a good healthy diet, drink a lot of water. I get a lot of exercise just from running around to castings. And I do hot yoga, it's hard and sweaty but a very good workout! PONY RYDER: What is your favorite brand of chocolate? KELSEY VAN MOOK: Hersheys, it's the best ! KELSEY VAN MOOK: Yogurt, smoothies, Cheerios! PONY RYDER: You have gorgeous hair! You just have to tell us, how do you mantain it, as well what shampoos do you prefer? KELSEY VAN MOOK: Thank you… Well my hair already goes through a lot from other people for work, so I always just leave my hair natural, I never straighten or curl it or anything. And I use Bed Head shampoo, it's good! PONY RYDER: What foundation do you use? KELSEY VAN MOOK: Mac..I love the "Color snob", it's very pink! PONY RYDER: What brand of make up brushes you own? PONY RYDER: What have you learned from all the make up artists you worked with? KELSEY VAN MOOK: Same as I said before, to always have your face moisturized. Also..wear sun screen on your face!! PONY RYDER: What make up advice can you give us? KELSEY VAN MOOK: Less is more, don't be cakey!!! Interview with Kelsey van Mook is original work by Pony Ryder.